BBEDC's Emergency Transfer Grant provides financial assistance and counseling to eligible residents so that they are able to obtain limited entry permits through a short-term, emergency transfer. Grants of up to 50% of the emergency transfer (lease) fee(not to exceed an established cap) for Bristol Bay limited entry drift and set permits are available to eligible resident fishers. Eligibility is based on residency in one of the 17 BBEDC communities, need for BBEDC assistance, access to a permit and market as well as other criteria. A Resident may receive no more than three (3) Emergency Transfer Grants. An exception may be made when the Participant can demonstrate progress on a plan to attain limited entry permit ownership and that a grant is necessary for additional years in order to facilitate accomplishment of the plan. 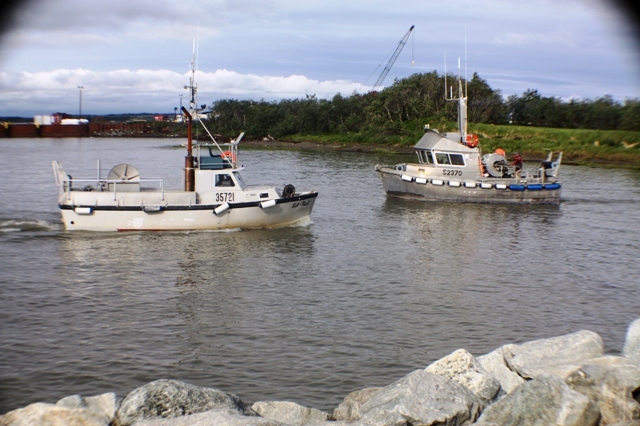 This program represents BBEDC's continuing effort to increase the number of limited entry salmon permits held by residents of the region; program participants often continue on to the BBEDC Permit Loan Program. Applications will be accepted after March 19, 2019. For additional information contact Massa Pat or Alice Ruby at 842-4370 or 1-800-478-4370.